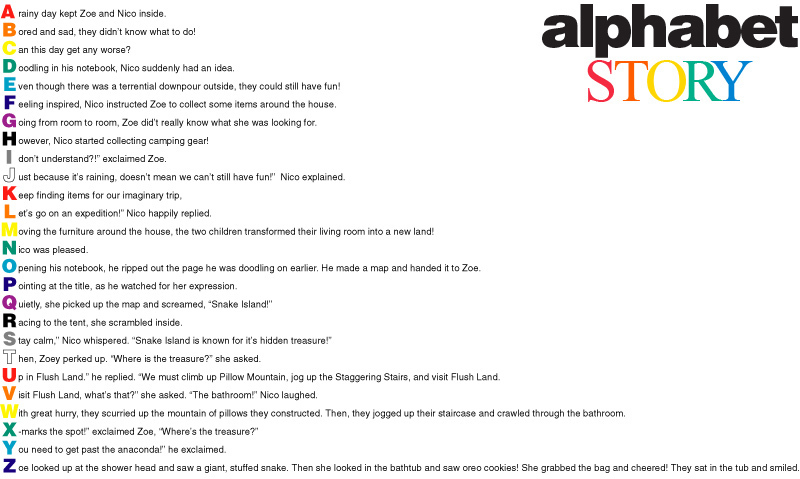 Collaborate and create an alphabet story! Each student must use their problem solving skills and creativity to contribute to an original class story. The challenge: the story flows in alphabetical order!